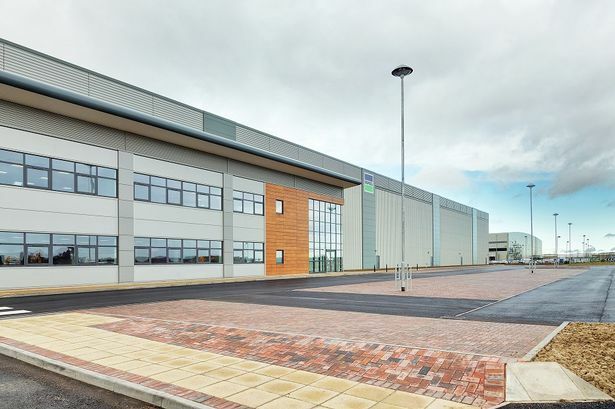 The region&apos;s reputation as a destination for property investment has taken another boost after a £33.7 million deal at Birch Coppice Business Park in south Staffordshire. The park&apos;s owner IM Properties has sold a brace of industrial units to a client of Aberdeen Asset Management. The 166,600 sq ft and 169,000 sq ft units were the first in the UK to be speculatively developed in the current market cycle and were pre-let by CBRE in February this year to international distribution and outsourcing specialist Bunzl and automotive component supplier DAU Draexlmaier Automotive UK respectively. The units in Tamworth were let on 15-year leases with break options in year ten, at rents of £5 per sq ft and £5.75 per sq ft. The investment was marketed by CBRE in October to a select number of investors and the purchase was secured by Knight Frank on behalf of a client of Aberdeen Asset Management. The £33.7 million sales price reflects a net initial yield of 5.06 per cent and reversionary yield of 5.8 per cent. Ed Gamble, a senior director in the capital markets team at the Birmingham office of CBRE, said: "This deal is hugely significant, not least because it endorses IM&apos;s decision to be the first UK developer off the blocks with large scale speculative logistics development. "Of equal importance is the yield achieved, which is testament to the location, quality of the units and the strength of competition for such stock." Johnny Hawkins, a partner at Knight Frank, added: "Prime logistics units of this nature are always very hotly contested. "Aberdeen is delighted to have secured a property of such high quality, demonstrating their intent in acquiring the best assets for their client. "We envisage strong growth in rents in the core industrial markets as supply of prime land and comparable buildings remains very restricted." Birch Coppice is also home to Ocado, UPS, Volkswagen Group and Euro Car Parts, which recently pre-let a 778,000 sq ft warehouse on a 20-year lease.